These are just a few of the top cruise line stories making the headlines of our blog posts this past year. Earthquakes, Tsunamis, Hurricanes, Snow storms, Volcanic Eruptions ... There were several natural disasters and weather-related interruptions to travel, including cruises, this past year. The most devastating event had to be the earthquakes and resulting tsunami in Japan. The entire world watched as the country tried to avoid a nuclear disaster. As 2012 dawns, the cruise lines that are in the Mexican Riviera are still avoiding Mazatlan, some of the eliminated European and Middle Eastern ports of call have had some limited resumption of service, and weather will continue to impact schedules. We will continue to monitor changes in the industry and events that have an impact on cruise schedules in the upcoming months. Wave Season is about to start, so contact us with your bucket list so that we can watch for specials that might be of interest. In Britain, Boxing Day is usually celebrated December 26th, the day after Christmas. However, strictly speaking, Boxing Day is the first weekday after Christmas. December 26th was the day to share the Christmas Box with the poor. 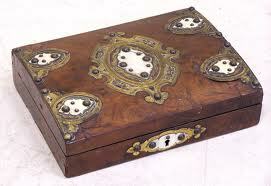 Traditionally wealthy people and homeowners in the United Kingdom would give a box containing a gift to their servants. Today Boxing Day is better known as a bank or public holiday which is observed in Great Britain, Australia, Canada, New Zealand, and some other Commonwealth nations. One of our favorite cruise ships is Celebrity Constellation. 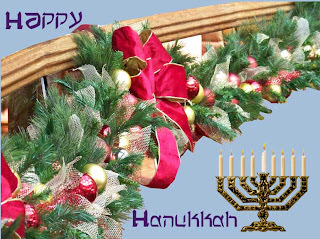 In preparing this column we searched the web for an image that had the grand staircase decorated for Christmas. Click on the image to go to the album on Flickr. Thanks to gailf548 for sharing these pictures of the holiday decorations. 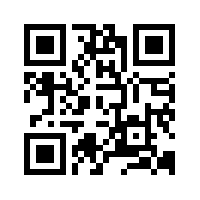 for links to individual blog posts and the various photo albums. One of the many highlights of that cruise vacation was visiting The Vatican during our pre-cruise stay in Rome. Last night the Pope celebrated midnight mass inside St. Peter's Basilica. The mass was broadcast across the world to millions of viewers. The alter was setup in front of the entrance to St. Peter's tomb which can be seen in this image. This year's mass had a special meaning since we had actually been there just over six months ago. See more images in our album: St. Peter's Vatican. For those that have never been to Rome, we highly recommend adding this to your bucket list of places to visit. We actually stayed in central Rome and explored the city by mainly walking from one attraction to another. Our hotel was near the Roma Termini Train Station, so we transferred to the ship by train. Rome is one of those destinations which you could spend days exploring and still not see it all. That shouldn't stop you from seeing the popular attractions during a pre-cruise stay. Make sure to throw a coin into Trevi Fountain, so that you'll return one day. Holidays are a time for family and friends and a good time to share vacation photos and stories. My wish for you this Christmas Day is that you are sharing the day with those that you love and care about, and who have mutual feelings for you. For those that are away from home, such as cruise ship crew and those serving their countries in the armed services, may the peaceful images in your mind help you to be close to those you love, if only in your heart and mind. 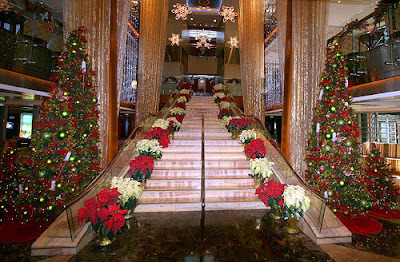 We love cruising around the holiday time because the ships are decorated for the season. As you know the ship's crew is made up of many nationalities and faiths. So too are the passengers that board the vessel for each cruise. 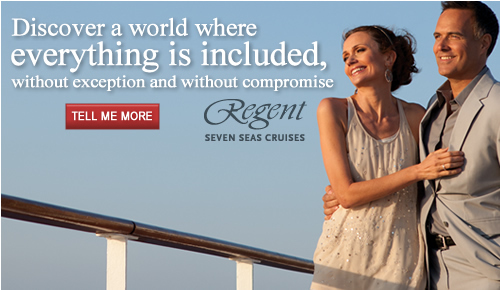 The cruise lines try to make the environment fitting for all regardless of their beliefs and also will accommodate special requests to help you celebrate. Holiday time is a time for families. Regardless of the holiday that you celebrate, there is one common theme ... spending time together as a family to celebrate the holiday. As we walked along the decks of the ship and saw the decorations, we couldn't help but think about the ship's crew. For the most part, the crew will not be spending time with families this holiday season. They will be onboard providing service to passengers just like they do every day of the year. This past week we saw troops leaving Iraq, some of which were heading home to families and friends in time for the holidays. Many of them have missed several holidays. Unfortunately, not all military will be home for the holidays, so once again let us keep the troops and their families in our thoughts, that they remain safe and can one year safely return in time for the holidays. December 16 marks the release date of ALVIN AND THE CHIPMUNKS: CHIPWRECKED!, the third installment of the blockbuster movie franchise produced by Fox 2000 Pictures that was shot aboard the Carnival Dream. Filming took place primarily on Carnival Dream’s open decks with scenes featuring actor Jason Lee (reprising his role as Dave Seville) and the antics of the three beloved chipmunks shot within the ship’s expansive outdoor recreation areas. Tropical ports on the Carnival Dream’s western Caribbean itinerary, including Cozumel, Roatan, Belize and Costa Maya, also provided a stunning backdrop for many of the movie’s shipboard scenes. The Chipmunks certainly picked a fabulous itinerary for their little adventure. This public pool right in the heart of Costa Maya's port shopping district is the perfect place to soak up some Caribbean sun, have your favorite beverage, or relax in one of the shady areas. The Chipmunks and The Chipettes (three female counterparts to the Chipmunks) go on a cruise trip with the Chipmunks' owner/manager/father figure, Dave Seville. During the cruise, the 'Munks and 'Ettes turn the ship into their personal playground, causing trouble and running amuck as they will. Eventually, their chaotic behavior gets them ship wrecked on the Isles of Scilly, everyone getting lost in the process. As Dave sets out to look for the lost chipmunk trios, the six find a new castaway on the island who turns out to be more than a match for the trios. Speaking of movies, you can watch movies, concerts, news, sporting events, and even watch others shake their "groove thing" on Carnival Dream's Carnival Seaside Theatre. It is a 12'x22' jumbo-sized LED screen with a crystal-clear picture and a 70,000-watt, easy-to-hear sound system. This is one of the innovations on the Dream which sails 7-day sailings, year-round, from beautiful Port Canaveral, FL to the exotic Eastern and Western Caribbean. Earlier this year we brought you articles about the violence in Mazatlan which prompted several cruise line changes in the Mexican Riviera region. Holland America Line has just confirmed that the MS Oosterdam, which sails 7-day sailings to the Mexican Riviera from San Diego, will now feature two consecutive days in Puerto Vallarta instead of a visit to Puerto Vallarta and Mazatlan. Several cruise lines, including Holland America, made modifications to schedules earlier in the year following a wave of violence, which included a shooting of a passenger in the leg and another widely publicized shooting in a hotel parking lot. The changes were made in the abundance of caution despite Mexican authority promises of increased security. 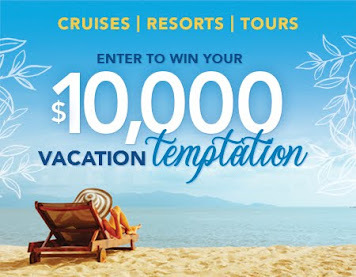 See our related blog posts: Carnival and NCL Skip Mazatlan Calls and Cruise Lines Pull Out of Mazatlan for more background. Calls for all lines in Mazatlan have fallen from 200 in 2010 to 30 this year, with only about a third of 2011 calls in 2012. Norwegian Cruise Line's Norwegian Star will return to the region in 2013 with, as of this writing, calls to the traditional ports of Cabo San Lucas, Mazatlan, and Puerto Vallarta during the seven-day voyages from Los Angeles. 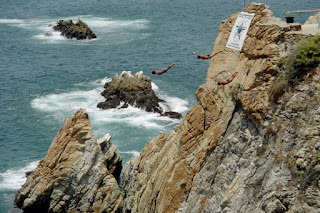 If you were planning on seeing the popular cliff divers in Acapulco on one of Holland America's Statendam's 14-night Panama Canal Explorer cruises sailing from Fort Lauderdale to San Diego or Rotterdam's 30-night Inca Empire South America voyage departing February 3, you will be disappointed. Both ships will spend additional time in Santa Cruz Huatulco instead of a call in Acapulco. A crime wave began in August, with a reported 148 deaths, prompting the government to reinforce the local police force of 1500 with an additional 3000 troops from Army, Navy, and Federal Police. The death toll has fallen since that action, but HAL and luxury line Seabourn have still cut calls in Acapulco. Oceania, Regent Seven Seas and Silversea have left their handful of 2012 calls on the schedule at this time, but all lines will continue to monitor the situation and make adjustments in the interest of safety if warranted. For the lines that have pulled out, they will work with local authorities to determine when and if it is safe to resume calling in the port. 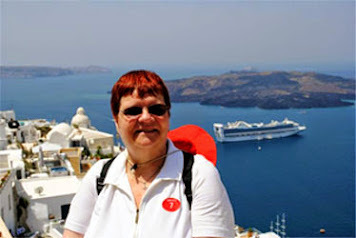 See our International Travel tab her or on our Facebook Fan page for important information for anyone traveling abroad. You need to be aware of entry / exit requirements, health concerns and precautions, and any travel advisories for any port of call that you visit. There are general guidelines to make your vacation worry free to the extent that it can be. Being prepared and aware of your surroundings is the best advice we can give you when traveling, even at home. Next summer when Norwegian Epic begins her 7-Night Mediterranean Cruise schedule there will be Three Embarkation Ports instead of the traditional One. Passengers will for the first time be able to choose where they embark on their 7-Night Mediterranean cruise. Norwegian Cruise Line, known for their "Freestyle Cruising" experience, has taken that to a new level with this announcement. Now, you can not only decide when and where to dine, you can also decide where you will begin and end your 7-Night Mediterranean cruise. As you might expect, this is a North-American cruise line first. Italian cruise lines MSC Cruises and Costa Cruises already use the multiple embarkation port model in the Mediterranean. With the multiple embarkation port model, everyone still has a 7-Night cruise, but the "first" and "last" night concept no longer exists. That might take a little getting used to for those that have cruised before. For example, a cruise leaving Barcelona, Epic's summer homeport, on July 1 will embark some passengers in Barcelona, some on July 4 in Civitavecchia (the port for Rome) and yet more in Marseille on July 7. 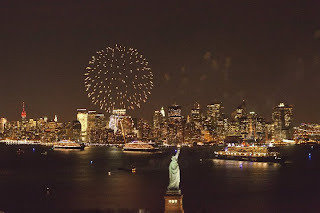 2011 saw the highest airfares in recent times from the U.S. to Europe. 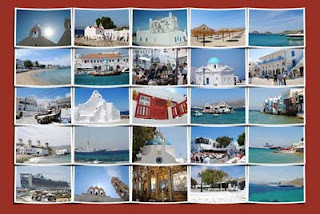 Those that follow our column on a regular basis know that we did a 12-Night Mediterranean and Greek Isles cruise this year. Seeing the Mediterranean by cruise is the best way to go. Your ship is your floating hotel with meals and entertainment included onboard, saving you from those expenses on land. 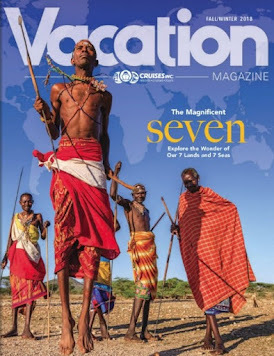 Fortunately, we had air miles which we were able to leverage, otherwise the relatively inexpensive cruise fare would have been dwarfed by the cost of air transportation. The high airfare would have potentially put the whole trip in jeopardy. 2011 also saw record ship deployments in Europe, as the cruise lines responded to the increasing demand. With the soaring air prices, the cruise lines had to find ways to entice passengers to cruise Europe. Next year the cruise lines will maintain or exceed current capacity levels in Europe. Unless there is a silver bullet in the airline industry, we don't see prices reducing to pre-2011 levels any time soon. So, Norwegian's move couldn't be more timely. It puts the passenger in the driver's seat on naming the cost of the air transportation. They might be able to find cheaper airfare to Rome instead of Barcelona for example. 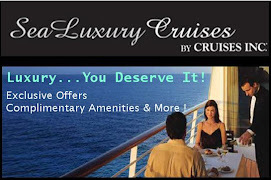 Perhaps they will be able to extend their cruise vacation with pre-cruise or post-cruise stays in the embarkation city. We always suggest flying early to your embarkation port to avoid the hassles of same-day arrival and to help with jet lag. The multiple embarkation ports of call should have a ripple effect benefit to the entire tourism industry in those embarkation cities. The carriers involved in moving all those passengers to/from their destination should benefit also. Instead of having several thousand passengers in port at the same time, from several ships, that load is disbursed to several different points in time and destinations. Passenger satisfaction should increase, as less drain is put on the infrastructure making for a more pleasant embarkation / disembarkation process. Norwegian Cruise Line began a re-branding campaign in Mid-October this year. 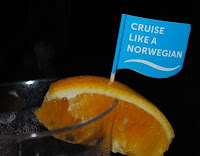 I'm sure you have seen the "Cruise Like a Norwegian" commercials and other advertisements. Assuming that this program is successful, we're thinking many people will want to "Cruise Like a Norwegian" to the Mediterranean. The success of this program will be one thing to watch this coming year. If it works out as Norwegian expects, I'd expect other cruise lines to jump on the band wagon after that. What do you think about this new program - do you like it? This is a popular time of year for river cruising along the Rhine and Danube Rivers in Europe. Passengers experience the joy and magic of the holiday season as they cruise along Europe’s majestic waterways during this most festive time of year. In this picture you see a river cruise ship preparing to pass under one of the many bridges of Europe. River vessels are designed to navigate the narrow waterways and have the ability to lower any protruding portion of the ship, the bridge for example, so that it can pass safely under bridges. Currently the water levels of many rivers in Europe are quite low providing a completely different challenge for operators. Due to the unseasonably low water levels, some passengers have had to switch ships halfway through their cruise; others found themselves "cruising by bus" as rivers became impassable. The situation has passengers and tour operators praying for rain so that the remaining cruise itineraries before Christmas can operate as scheduled. Those prayers might be answered as the forecast calls for rain in the coming week and water levels should start to rise. 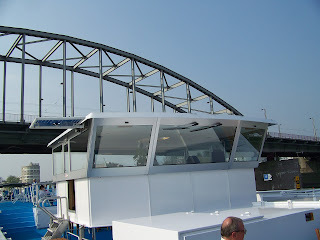 S.S. Antoinette December 7 voyage began the river cruise in Basel aboard River Princess and passengers will transfer to S.S. Antoinette in Strasbourg on December 9 for the remainder of the cruise. Rhine cruises will have to swap to bus tours between Heidelberg and Basel. Conditions are improving and next week's cruises should need fewer alterations if any. Just as in Hurricane season, the cruise lines monitor the situation and make adjustments in the interest of safety for passengers, crews, and ships. In many cases, compensation is provided for changes, despite the fact that the situation is really totally out of the cruise line's control. 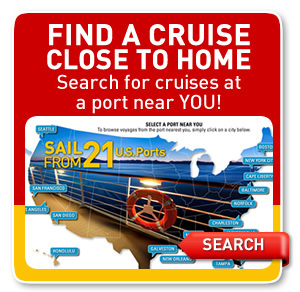 Cruise lines are communicating directly with impacted passengers and their agents. Despite the challenges that are present this year, the experience is still great. Imagine walking through town squares glowing with thousands of lights, smelling freshly baked gingerbread and other delights. Picture rows of wooden stands filled to the brim with hand-blown glass ornaments, handcrafted toys, and nutcrackers of all different shapes and sizes. Friendly shopkeepers help you select that special gift for someone back home. You'll discover the holiday traditions and experience how the Europeans have been celebrating the yuletide seasons for centuries. All your senses will be engaged as you round out your experience with the merry sounds of Christmas carolers singing joyfully in their native tongues. The Holiday Market cruising season is drawing to a close quickly this year, but why not plan a trip for next year. We'd be happy to help you decide which river cruise meets your wants and pocket book. Seventy years ago today, at precisely the moment that I started this column, the United States was drawn into World War II when Pearl Harbor was attacked. While this was before I was born, it is still a date that is impossible for me to forget. 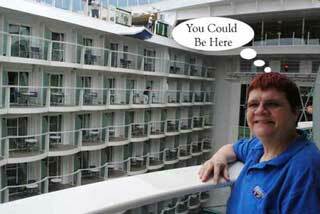 I am often asked what is my favorite or memorial cruise vacation. As I have always said, that is a very difficult question to answer. Every cruise vacation has one or more memorable moments. 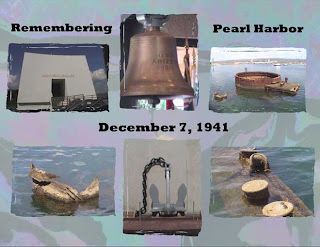 The visit to Pearl Harbor definitely ranks among those memorable moments for me along with our visit to the Normandy beaches. St. Nicholas of Myra is a popular Christian Saint among children across Europe because of his reputation as a bringer of gifts. Both the North American Santa Claus and the British Father Christmas are legendary figures whose attributes derive from the myths surrounding St. Nicholas. Widely celebrated in Europe, St. Nicholas' feast day, December 6th, kept alive the stories of his goodness and generosity. In Germany and Poland, boys dressed as bishops begged alms for the poor—and sometimes for themselves! In the Netherlands and Belgium, St. Nicholas arrived on a steamship from Spain to ride a white horse on his gift-giving rounds. December 6th is still the main day for gift giving and merrymaking in much of Europe. For example, in the Netherlands St. Nicholas is celebrated on the 5th, the eve of the day, by sharing candies (thrown in the door), chocolate initial letters, small gifts, and riddles. Dutch children leave carrots and hay in their shoes for the saint's horse, hoping St. Nicholas will exchange them for small gifts. Simple gift-giving in early Advent helps preserve a Christmas Day focus on the Christ Child. Sailors, claiming St. Nicholas as patron, carried stories of his favor and protection far and wide. St. Nicholas chapels were built in many seaports. Several stories tell of Nicholas and the sea. When he was young, Nicholas sought the holy by making a pilgrimage to the Holy Land. There as he walked where Jesus walked, he sought to more deeply experience Jesus' life, passion, and resurrection. Returning by sea, a mighty storm threatened to wreck the ship. Nicholas calmly prayed. The terrified sailors were amazed when the wind and waves suddenly calmed, sparing them all. And so St. Nicholas is the patron of sailors and voyagers. On the north coast of Hispaniola, surrounded by beautiful mountain slopes and exotic foliage, sits Labadee®, Royal Caribbean's private paradise. Royal Caribbean Allure of the Seas sails there during the 7 Night Eastern Caribbean cruise. This exclusive destination offers pristine beaches, breathtaking scenery and spectacular water activities. You'll find the tour information and booking desk at Buccaneer's Bay, where you can book any remaining available spots for excursions. This is also the meeting point for our watercraft and boat tours. There is plenty to choose from including the WaveJet tour, Parasailing, Arawaky Snorkel Adventure, Haitian Hydro Highlights Express, Discover Haiti, Sandbar Rendezvous, Haitian Cultural Tour and Snorkel Safaris. Located just outside Buccaneers' Bay. Here you'll be able to enjoy a barbecue style lunch buffet at the Dragon's Café. Dragon's Plaza is also the start of the longest beach on Labadee. Although not suitable for swimming (visit the beach at Columbus Cove instead), it is the perfect place to soak up the sun and listen to the sounds of the ocean. Be sure to take a walk out to Dragon's Head (a breathtaking natural rock formation). Labadee Town Square boasts an expanded version of the popular artisan market and a festive atmosphere that comes alive with music, folkloric dancers and more. This location offers convenient meeting places where guests can enjoy the rich Haitian culture and take in shopping, shows, cultural activities and other memorable experiences. At the end of your day at the beach, catch a tram ride back to Buccaneer's Bay where it's just a short walk to the exit and back to your awaiting ship. Not only is this beach brand new, but it is also home to Labadee's newest attraction, the Dragon's Tail Coaster. Located by Labadee Town Square, Adrenaline Beach features soccer, basketball and beach volleyball games. During our visit, we had olympic style games there raising money for "Make-A-Wish Foundation" as part of our National Conference activities. This family friendly spot is located in a protected cove that allows for swimming and floating on a beach mat. Trees along the sandy beach provide natural shade great for relaxation. Columbus Cove boasts one of the largest aqua parks in the Caribbean. The young and young at heart alike will enjoy family activities including: climbing "icebergs," the log roll, the teeter-totter, trampolines and a new water slide. This is also the site of one of our barbecue lunch buffet areas. Exclusively for Royal Caribbean International's Grand suites and above guests, the Barefoot Beach Club offers a total of 20 private cabanas along the water's edge and within the hillside areas. Enhanced food and beverage services are also available. Guests are now able to dock directly on the Labadee coastline without having to tender onto a smaller vessel. This gives guests more time to enjoy the spectacular activities available on their own private beach destination. The pier stretches 1,300 feet (pier and trestle) in length and even allows the 225,282 gross registered tonnage berth of the Oasis of the Seas®, Allure of the Seas®, Freedom of the Seas® and Liberty of the Seas®. We visited Historic Falmouth, Jamaica in October, just a little over six months since the new cruise port officially opened for business. As you may recall, Royal Caribbean invested in the cruise port in collaboration with the Port Authority of Jamaica (PAJ). Together they constructed the all-inclusive resort town on the pier featuring contemporary shops, parks and landscaping, restaurants and bars. Allure of the Seas docks just outside the gates of this newly constructed resort town. Board a trolley for a tour of the historic town of Falmouth. Purchase your ticket from the agent and sit back and relax for a guided tour through the cruise port and on to the old town itself. The highlight of the tour is the stop at St. Peter the Apostle Anglican Church, which was built in the late 18th century. Here you'll have the chance to visit the interior of the church and see the old pipe organ, altar, and wooden pews which have been preserved in their original state (only a few have been replaced). Inside you'll also see the Eastern stained glass window, flanked by the Ten Commandments, Lord’s Prayer and Apostles’ Creed. The church is simple, but yet very moving. Back on the trolley we drove past the local school where the children were outside playing. They ran to the fence waving and smiling, very happy to see us. They should be because Royal Caribbean has breathed new life into the old town by investing in the cruise port. Very little development had occurred in the town over the last 100+ years, but that has all changed. The Historic Falmouth Cruise Port is serving as a catalyst for the town's rehabilitation and beautification as well as raising awareness of the importance of documenting and preserving Falmouth's history for future generations. It's not just the local children that are happy to see us. A common scene in the cruise port is as depicted in this picture. A local Jamaican man sits at his stand making a wood carving. He is very happy to personalize any of his carvings for you so that you can take a true souvenir back home from your cruise. All the people were very friendly. This was a different Jamaican experience than we had in Ocho Rios or Montego Bay. For those that have been to Jamaica before, this port can be a refreshing change, as you stroll through the cruise port shopping or perhaps exploring the town a little further, as we did on the trolley. We hope you enjoyed the virtual tour of Falmouth via our photo albums. Royal Caribbean's Allure of the Seas and Oasis of the Seas are among the ships calling at this new port of call. Maybe you'll get to visit this new port on one of your next cruises.